Products & Services-> Speaking Engagements/Workshops. Original Mathematics Initiative is available for speaking engagements and or workshops for students in terms of guidance, life-long learning, goal setting, motivation, discipline, career options or problem solving strategies. We are avalaible for international (countries other than South Africa) speaking engamenents with 30 day notice. Original Mathematics Initiative is available for teacher training and workshops. With over 21 years experience in various learning enviornments, please be advised that we have a solution for your problem or will engage in dialogue with your staff in order to secure a viable option that suits your needs. We have taught in Catholic School Settings, Islamic School Setting, Alternative Schools, Tutorial Centers, Home School, Public School, Private School, Job Corps, and Community College in America. 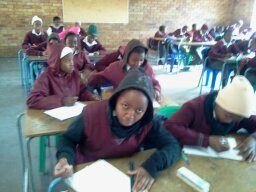 Morever,in South Africa, we have taught in Government School, Private School, and Home School. Original Mathematics have 29 years of experience in terms of private lessons in mathematics Tuition.